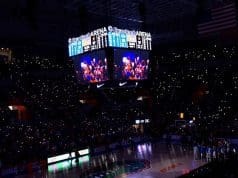 Last Saturday in the Swamp the Florida Gators hosted several dozen prospects on campus including a few commits for the Orange and Blue game. Offensive line commit Ethan White (6-5, 315, Clearwater, FL. Superior Collegiate Academy) was on campus and liked the offense. 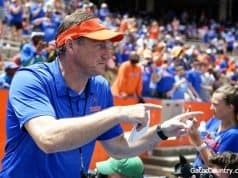 This was the first time for White to see a game day in the Swamp, and despite it being a spring game, he was impressed. 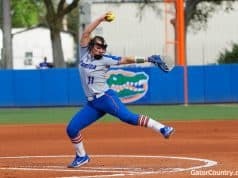 On Saturday White got the chance to meet with several coaches including a message from head coach Dan Mullen about the state of the team. White got the chance to watch Mullen in person on Saturday and he walked impressed by how Mullen coaches and runs the program. 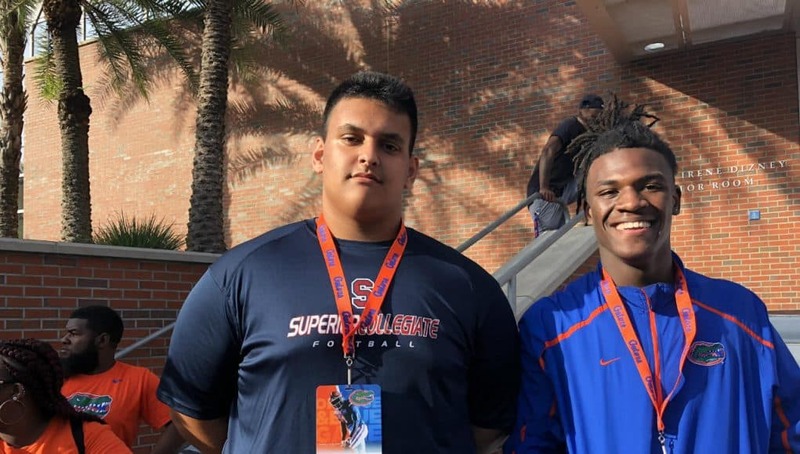 The offensive lineman has been committed for over a month now and he broke down exactly why he committed to Florida. Now that White is committed, the lineman put on his recruiting hat and started recruiting another lineman on Saturday.